Bill's Book Reviews and News: Time publishes "The Search for Life in the Universe"
Time publishes "The Search for Life in the Universe"
Time Magazine sells a 96-page coffee table paperback, “The Search for Life in the Universe”, with the subtitle “Is Anybody Out There? Science Is Finding New Clues.” , apparently edited by Nancy Gibbs and Neil Fine. There are fifteen heavily illustrated short chapters. That chapter deals with the Drake Equation. The upshot of all of this is that there seem to be millions of rocky planets in our galaxy in the so-called “Goldilocks Zone”. But most starts are M-star red dwarfs. That means the planets are close to the stars and “tidally locked”. Still, they would have mild climates in the perpetual twilight zones, and strong winds would spread the mild temperatures around the planet, when the atmosphere is thick enough. M-stars tend to have unstable outputs and a lot of radiations storms. 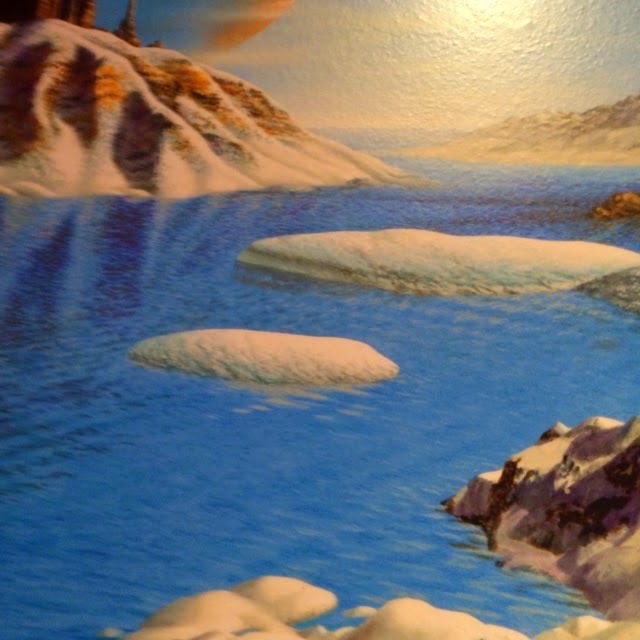 Water worlds may be common, as may be moons like Europa, with oceans underneath ice. Water would insulated ocean life from the radiation. Starts the size and stability of the Sun are less numerous than M-stars. And Earth is lucky to have formed a large Moon that stabilizes things even more. One possibility is that advanced civilizations would master worm holes, and be able to teleport and reconstruct themselves in other places. M-star planets with twilight zones might be colonized by other civilizations (a premise of Ridley Scott’s “Prometheus”). A solar system with more than one habitable world and an advanced civilization would face political problems just now imagined by us as we imagine going to Mars. Do all advanced civilizations have monetary systems and business economic cycles? One argument against intelligent life is that some species like sharks have been stable for hundreds of millions or years without becoming “smart”. But land mammal (carnivores and prmates) become intelligent is such a way as to relate to man socially (as well as some herbivores like elephants). You need brains to hunt for food on land. And ocean-returned mammals – cetaceans – may sometime be equal to humans in intellect – having evolved separately. They have a biological Internet (sonar) and haven’t threatened to blow the world up with nukes. But they can’t make tools because they don’t have hands, and don’t need them to feast on “free fish” underwater. Should orcas get the legal protection of people? Of if a “Clark Kent” from a Krypton (having been teleported through a worm hole) grew up among us, would he have the same legal rights as any human? The possibility isn’t as far-fetched as it sounds. Civilization-bearing aliens might indeed look very much like us.